Calocedrus formosana, first described in 1956 by C.R. 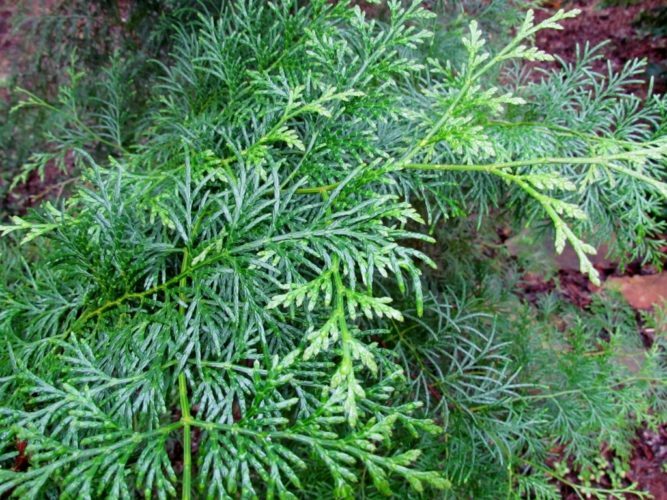 Florin, is commonly known as Taiwan incense-cedar; or as 台湾肖楠 (tái wān xiào nán) and 台湾翠柏 (tái wān cui bai) in the Chinese lanuage. Description. 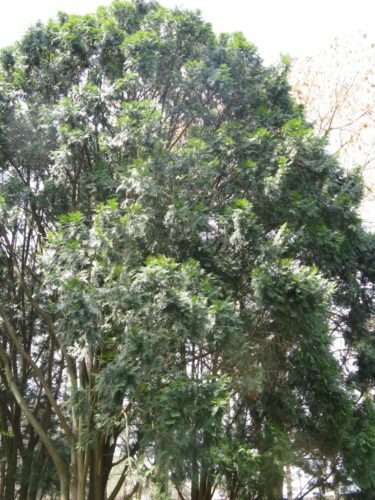 Taiwan incense-cedar is an evergreen coniferous species of tree which will grow into a large tree, with an often crooked trunk. 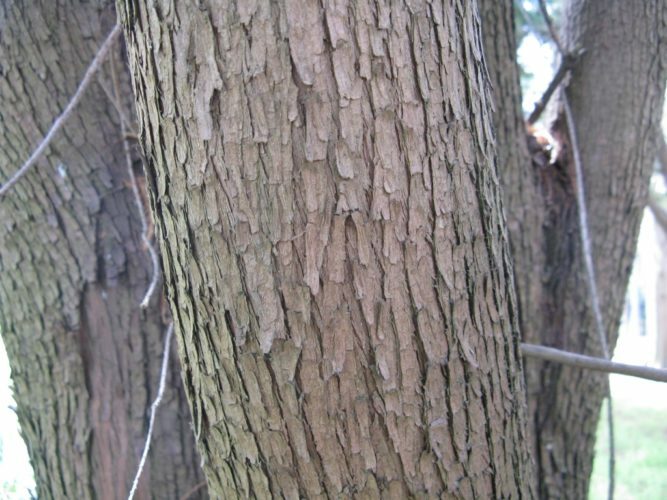 Its bark is smooth, and purplish red-brown in color. Branchlets are distichous and alternate. Leaves are scale-like, obtuse, ca. 0.08 inch (1.5 - 2.5 mm) wide, dark green on the outside and pale green within. Female cones are oblong, 0.4 to 0.6 inch (10 - 15 mm) long, slightly curved, with 4 scales, the 2 lateral ones fertile. Seeds 1 to 2 are produced within each scale. They are 0.3 to 0.45 (8 - 12 mm) long including a single wing. Distribution. This species is native to northern and central Taiwan, growing at elevations of 100 to 6,000 feet (33-1,900 m) over sea level. Attribution from: Cheng Wan-chün and Fu Li-kuo, eds., Flora Reipublicae Popularis Sinicae. Tomus 7: Gymnospermae. Beijing: Kexue Chubanshe. Calocedrus formosana — a closeup of foliage detail. 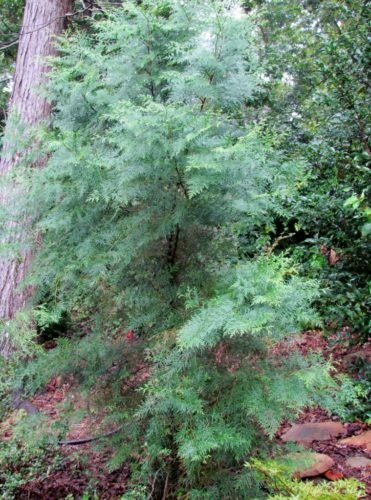 Calocedrus formosana — a young specimen at Cox Arboretem, Canton, Georgia. Calocedrus formosana — a mature tree growing in Osaka, Japan. Calocedrus formosana — a closeup of bark detail.